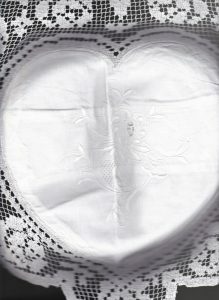 This heart-shaped cushion cover is a romantic and whimsical symbol of love! 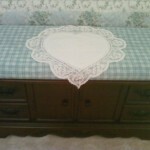 Hand embroidered Chrysanthemums with full lace edge white cotton 4 sizes accent cushion. 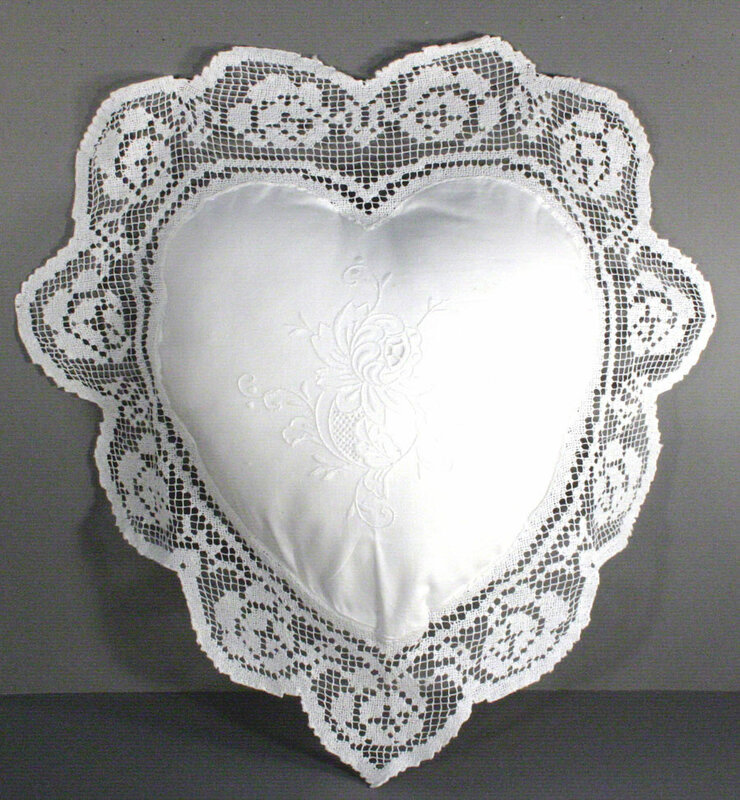 Hand knotted Modano Tuscan Lace fully edged and trimmed this Cushion Cover in Pristine White Cotton. 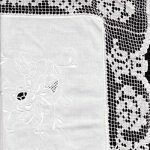 A closeup view to the detailed craftsmanship of our expert laceworker. 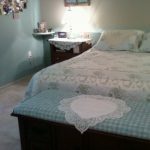 Each one of the 4 corners in each tiny square is hand knotted…an incredible feat…there are so many tiny little squares in the 4″ lace trim. 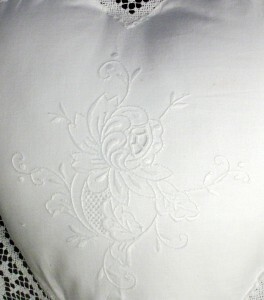 It is All in the Details, closeup illustrates the exquisite hand stitched embroidery of Chrysanthemums Cushion Cover in Pristine White Cotton. 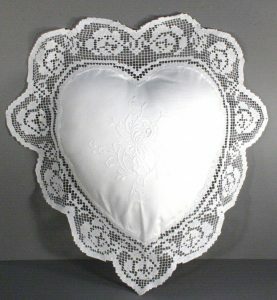 The Tuscany lace cushion cover can be an ideal decoration that adds a romantic atmosphere to the room, either as a traditional cushion pillow or as a unique lace doily. 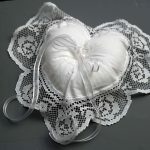 Heart Shape : 9″ and 12″. Pure white colour.